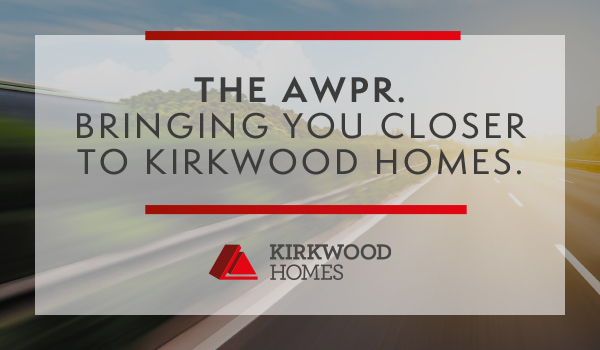 With the long-awaited AWPR (Aberdeen Western Peripheral Route) now open and improving journey times in and around the city, it’s no wonder that the housing market of Aberdeen will see buyers looking at locations they previously have never thought of before. At Kirkwood Homes we’ve a number of developments located close to the new road, offering residents a prime location to connect them to the key business hubs around the area, with easier access to the north and south of Scotland. We’re situated in the heart of this development, one that has grown rapidly over the last 18 months. Built for modern living, Charleston Grange has everything at its doorstep including a PureGym, Starbucks, Sainsburys, Ikea, local boutique retailers, salons, coffee shops, schools and of course access to the AWPR. Situated less than one mile to the new road makes commuting to Dyce, Peterculter, Westhill, Inverurie and the city centre easier than ever - so if you work in any of the industrial estates then Cove could be the perfect location for you! This development of 85 three, four and five bedroom homes is set on the outskirts of the popular seaside town on its own country estate. The development offers the best of both worlds, giving you country living whilst remaining close enough to the town’s amenities. The AWPR keeps the town connected, with easier commutes to Aberdeen. So, if you work in Dyce, a commute from Stonehaven that would have taken over an hour will now only take just over half that time. Why not take a drive down the new road to our showhome? Positioned conveniently on the edge of the town of Alford, this development is home to 41 three and four bedroom luxury homes. With prices starting at £219,995, there truly is something for everyone. Kingsford Rise is also perfectly located to benefit from having everything at its doorstep including local shops, banks and leisure facilities. Alford Community Campus is situated close by and offers a wide range of sporting facilities including a swimming pool, climbing wall and dance studios, as well as a large library and are all open for use to the residents of the town. Whilst being situated in the heart of the countryside, Alford remains well located for commuting throughout Aberdeenshire, with Aberdeen city centre only 24 miles from the town. With this, the large office complexes of Westhill are just a 25 minute drive away - therefore connecting Alford to the AWPR in no time. Set within the village of Durris, the development has just 23, three, four and five bedroom detached homes and is situated only five miles from the bustling town of Banchory. Set within the countryside surroundings of Royal Deeside offering a sense of tranquillity and relaxation, yet being so well positioned to access the AWPR, connectivity is endless. Could you make your dream move to Durris?